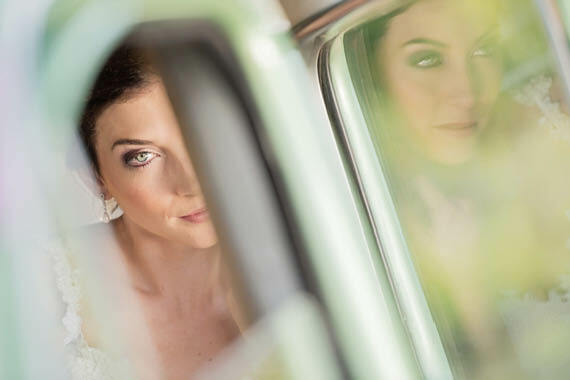 Win a Seat at Stella Uys’ Workshop, an in-depth and complete wedding walk-through covering all aspects of the wedding day targeting difficult situations & aspects. The Workshop will take place at Lace on Timber, Pretoria from 30 – 31st August 2016. First contact & the booking process. In-depth shooting experience with me covering all aspects of the day. Styled shoot to cover from detail, decor, bride preparations, groom preparations, ceremony, family formals, couple shoot & reception. Posing, evoking emotions & what I look for. * Your equipment (camera & lenses) required for day 2. Entrants must be able to attend the workshop from the 30-31 August 2016 in Pretoria. The winner will be picked by Wedding Friends. Wedding Friends’ decision is final and no correspondence will be entered in to. If winner is not able to take the prize on the specified date, another winner will be appointed by Wedding Friends. Competition closes on 30 May 2016 at 12:00 and the winner will be announced on 31 May 2016. Stella has been one of my inspirations as a wedding photographer since day one and it would be an absolute honor to be able to see how she goes about creating the magic she does. Stella is my inspiration and I would love to get more insight on becoming a success story in the industry. Your Photos look beautiful. I will definitely benefit from attending your workshop. I love Stella’s photography techniques. She is truly a gifted photgrapher that I can learn great photography skills from. I would love to win as I’m busy gving my blog a make-over and I will be able to take great pictures to share with all my followers. I love to take photos and I would like to learn more but unfortunately to take a course is very expensive this will mean and help a lot if I could win a seat :) And it will be nice to see how you create that forever lasting moment in peoples lives that makes them smile every time they see the art you created of them. Stella has a unique way of looking at things from a creative view point and a strong business side, it would be an inspiration and a honor to learn from one of the best wedding photographers. Oh how much I love Stellas work, soft romantic and definitely one of industries icons. Stella is a massive inspiration, and it was a huge honor to have worked along side her once when I was shooting video at a wedding. It would be and absolutely insane opportunity to win this and get taught by one of the best in the industry. Stella i like your work and passion like to learn form you. It would be a great privilege to learn from such an experienced photographer. I would love to join. To me you can never learn enough! Attending Stella’s workshop will not only increase my knowledge but it will be a enormous blessing. It will be such a blessing to learn from one of the leading Wedding Photographers in our country. She doesn’t only live out her unique style but inspire each one of us to create our own style & be the best who be can be. First year doing wedding photography, and am so eager to learn from amazing photographers in the industry. I love the style and feel of these photos and the workshop sounds like an absolute dream prize! I would be so honoured to be chosen and am so eager for more knowledge on my craft!!! I would love to be a part of Stellas workshop – Her work is such an inspiration and I would love to learn from someone who has mastered her craft so well! I feel like I have so much to learn and would to learn from Stella. I am new in South Africa and think this will kick start me into action! Stella’s work is a true representation of what the standard of wedding photography should look like and the standard that Id like my photography to be at, so Id love the chance to get to spend some time seeing how she does it all! I never want to stop learning, and because I have never attended a workshop.. I would be so grateful to attend one of yours!! This would be amazing to attend! I would love to up my photography game and I think attending Stella’s workshop would be the best way to do that. I always maintain that all the good wedding photographers are always booked, the remaining scatter for work…. I am thinking to enter the wedding photography market and when entered, want to be booked as well. That is why I need to attend as well! Having an opportunity to learn about how to shoot weddings from Stella would be incredible. You are never to good or to old to learn something new in photography and I would be honoured to be apart of this experience. Thank you!! I have been dreaming of learning from Stella – especially this year! I am in awe of how she works with light and how she always seems to have magical light in any situation! I would LOVE to attend her workshop and have the chance to learn from her! How does Stella do it? Evoking so much love and attention to every detail on a Wedding day – having a family and a successful career, I am sure Stella is super woman! I would love to attend the workshop, not only because one can never be to old to learn something new, but what an amazing experience it would be to attend a Stella Uys workshop! With still being a novice at photography, being able to attend such an event would be an absolute dream come true. With most of my learnings being self-taught, being afforded an opportunity like this would extend my knowledge and experience. Stella’s work is amazing, the way she capture’s those memories is so beautiful. I only hope that I too, can one day be as successful as her. I currently do not have a website, but rather a FB page – Natalie P. Photography. Since discovering photography as an creative outlet late in my life and living in a small town in KZN, I had little opportunity to really work with other talented photographers. Stella is one of the photographers I follow and admire and would LOVE the chance to learn from her! Ooooooooooooooooooh goodness!!!!!!!!!! ♥ I would simply be AMAZING to learn and be inspired by a photographer like Stella! Thank you for giving away SUCH an awesome prize!!! I started shooting in 2005. Beginning of 2015 I had had enough of difficult and demanding clients. So I QUIT. Yes, I quit. Went to work in medical practice and Nov 2015 had a good breakdown. I was dying inside because I was not persuing my God given career and everyone in my life could see it. I started anew in January 2016. I have a new name, Nouveau (French for “New”). God has been renewing me and it has been great! I have new joy, new goals, new love for what I do. It is not always easy, and quite challenging at times, but challenge brings change and change brings new things to the table and NEW is good! I can truely say that I am new again. Therefor, I am Nouveau. So with this message, my hope, is that you choose me, so I can how to adapt, how to change and how to become a better photographer…. Thank you for reafing my story. I love the connection between people which Stella captures beautifully. I’d like to learn how she poses and guides a couple while in front of her lens. There always more to learn! When I started out in the industry two years ago, I made a list of people I wanted to learn from and assist. You were of course one of my biggest role models and influences, however at the time you very kindly and gently informed me that you were not taking on any new assistants, and wished me luck. I still feel that I missed out on a big opportunity there, and now when I again find myself stuck in my career and not sure how to take the next steps, your name comes up. It would be such an honour and blessing to learn from one of the key woman who got me excited about being a wedding photographer – specifically your ‘beloved’ approach to shooting and working with people. I’m currently based in Cape Town, however, I’m on the first plane out to Joburg if you pick me! Please pick me…. 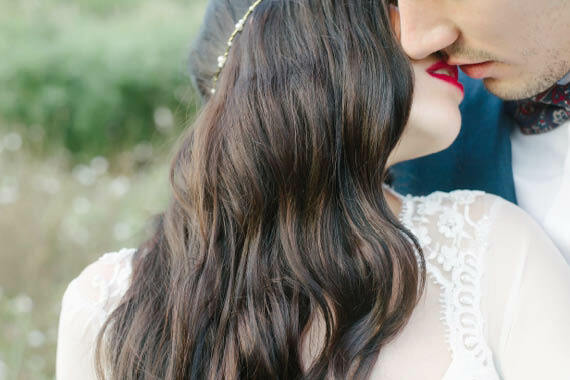 Nothing would make me happier than to learn how to tell a beautiful wedding day story. I want to feel fully confident that I am giving the very best that I can- and telling the story as wonderfully as I am capable of doing! Please allow me the opportunity to grow in my photography! To be able to learn from such an experienced photographer would be a huge honor! I am in love with Stella’s style of photography, would love to win this and better my own wedding photography. I feel like I am finally in a place in my career to be able to attend a workshop like this, I love Stella’s beautiful style and the emotion that she captures in all her images. Ek love leer en speel geleenthede en spits altyd my ore as ek iets kan byvoeg tot my kennis. Nog soveel beter as dit by iemand is wie se styl ek baie van hou en by kan leer van die industrie en professie as trou fotograaf. Hi, My name is Ingrid, I would be most honoured to win this amazing price. To me winning means more than just attending the workshop, it is a learning opportunity as I have recently started my own wedding planning business. It is always a gift to get inside information from people who’ve been in the business for long. it is an opportunity I would take with both hands and make a success of my business. It would be an honour for me to learn from such an accomplished artist. I am always keen on gaining new knowledge and insight from my peers. I find Stella’s work very refreshing and would love to learn from her! and I would love to learn her craft, listen to her inspiring talks, and learn from the best! Workflows, Posing and Business Tips whats not to like about this opportunity? Plus add the chance to meet and work with such a talented photographer who’s unique / captivating style offers so much to learn form, would be an amazing experience. i would loooovve to win this simply because Stelly is just the best wedding photographer ever and i have been following and loving her work ever since she did my best friends wedding! She has the most amazing style and i would love to learn from her. We all start somewhere. A spark of interest glints off the eye, a stirring tremble awakens in the epicentre of the creative soul, the fierce need to create pulses through mind and limb. Knowledge is the catalyst that turns this volatility of artistic fervour into result not redundancy. Please help me on my journey of learning and discovery; I have the need to create. Artistry through photography. Photography has been my BIGGEST passion from a young age, perfecting it my BIGGEST dream. For this reason I have made it my goal, in growing and ultimately capturing the unexplainable beauty of the Lords creations. Like many photographers I am my biggest critic and always strive to do better. I strongly believe hands on learning is the best way of making it your own. Stella Uys’s work has been one of my inspirations for a few years now, and it would be one of the best stepping stones in becoming a better photographer! I wish to inspire others like she does. I would love to be able to learn from one of the best wedding photographers in the industry to help build a successful business! Stella has a exceptional photographing style and it would be a huge opportunity to meet and work with her, along with all the other creatives involved! When I look at Stella’s work I can see I still have so much to learn! It will be a great honour to learn from the BEST!! It will be a dream come true to gain some of her knowledge!! Thank you so much for this competition to give us the opportunity to attend!! Stella, jou kiekies is asemrowend mooi en so natuurlik! sal fantasties wees om van jou te leer. En omdat ek van Oos-Londen is, sal ‘n kaartjie beslis dit makliker maak om by jou uit te kom. Going through all the amazing reasons why everyone would LOVE to attend your workshop, speaks a thousand words of the mentor you already are to other artists. The same goes for your art. Attending this workshop would mean leaps and bounds for my career and my love for capturing love. Aspiring to evoke emotions beyond words when looking at my images, is an aspiring goal, and I am certain that this workshop will ignite much more. Ready to learn, connect, appreciate and grow. Running your own business is tough (as you know) but perfecting that business is even more difficult. Gaining knowledge and wisdom about your field is a priceless quality that would benefit in success. I would love the opportunity to learn your ways of working and develop my skills and give my clients better memories to remember! 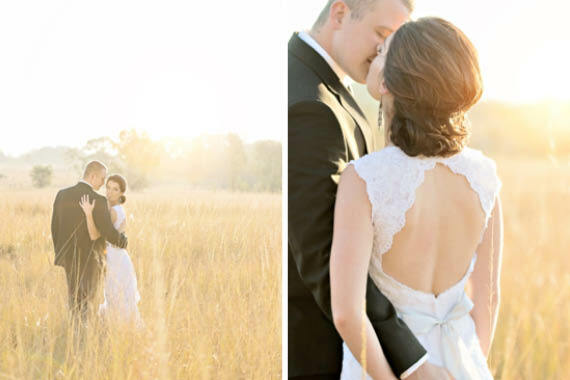 I am absolutely in love with Stella Uys’ photos! I am a beginner photographer and I am determined to make photography my new career. As I can learn heaps and heaps from such an amazing and experienced photographer I would just love to attend this workshop. I’ve been a wedding photographer for about 5 years now. There are still so many things I don’t know about shooting a wedding. Every wedding is different and the main thing is to never just see it as a job, but to feel it as my passion for photography and creating timeless images. God has given me this talent and there are so much more to learn… Especially from Stella Uys! Good day Stella, I’m a total “newbie” in the photography world. I am actually an artist that paints with oils. On my pursuit to get the best portrait to paint I started taking pictures. And I love every minute of it. I would LOVE the opportunity to attend one of your workshops; I am sure I would learn a great deal and just think what beautiful paintings can come out of the beautiful new wedding pictures I would learn to take. Thank you for this great competition. I am so sure the benefit to the winner will be a GREAT one!! Thanks for this opportunity! Have a blessed week! I am from Parys in the Free State..
My husband bought me a Nikon for my Birthday 3 years ago, and from there I am Hooked.. I have liked a few Photographer’s pages and that gives me so much inspiration… I would love to join the workshop, and for you to give me some tips and pointers! my mom always said that you are never to old to learn!! Her softness in her pictures is picturesque and I can only aspire to be able to create images of thay quality!! With the help of this workshop, I might just crack it. And in turn broaden my client Base and be able to provide better for my family! If you want to be the best, you have to LEARN from the best, plain and simple. And I want to be the best!!!!! Photography is all about having an absolute passion for what you do and see, and being able to capture those special moments and make them last for a lifetime is what I love. Learning from Stella would be an amazing experience that would help me push my business and my passion even further. Stella Uys’ work has been a favourite of mine since I started taking the photography journey. I can definitely relate to the feeling of her images. I have never been able to be part of a workshop and I think this one is going to be spectacular. I’d love to meet her and network with other photographers! How awesome that a person would like to share their creativity and knowledge! I have second-shot a couple of weddings but still feel I lack some experience to take the leap into taking photos solo. Stella, I would like to be part of your workshop and equip myself and grow my self-confidence. I admire your work and LOVE your style. Look forward to have you be part of my journey. Stella’s work have always been a huge inspiration for me…how many times I didnt wish that I can share just a few hours with her teaching me a few techniques…now maybe I can and what a blessing it would be! I would love to learn some from her as she is an absolute terrific photographer! Dit sal net freaking amazing wees! Sit id middel van die kalahari ek het al die hulp nodig wat ek kan kry!!!! I am in a place where I really need to grow as photographer before I shave my head and go find the meaning of life in Tibet. Love Stella’s style always have. Pick me.. It would be such a privilege to be able to learn from such an amazing photographer. Stella’s photography truly manages to capture those special moments between a couple, that very few other photographers get right. The emotion in her photos really speak to one’s soul and makes you feel part of the photograph. I met Stella at one of my friend’s weddings at Old Haliwell, and she is such an inspirational lady. I would love to be able to work with her! It would be such a blessing to attend your workshop. I started in January this year when I turned my passion and hobby into a business. I too want the knowledge on how to capture those special moments & being able to exceed the wedding couples expectations. Learning from the best would be an honor. Thanks for the great opportunity!!! I would love to win this competition as I am going full time photographer end on June and would appreciate any guidance and assistance in making it as a full time wedding photographer. I have been admiring your work for a very long time and it would be more than a pleasure leering the ropes from you and applying it to my own dream and business. I would love to have my clients remember their special day with awesome images and products with a great client experience along with it. But I do need a lot of help with getting those clients who value their memories. I hope to meet you soon and make you proud in applying what I learn from you! OMW! Winnig a workshop with Stella Uys? Am I dreaming! Hell yes – I want to win this. It would be freaking amazing learning from you. I am eager to learn anything possible about the ins and outs of Wedding Photography. I have been following you since 2010 and what great work have you presented, I am in awe. I can only imagine what I could learn in two days – my brain will go on a happy trip! I would love to win and attend this workshop! YOU ARE AMAZING! I would love to win this. To learn where all my faults are. I want to grow. I’m speechless about this opertunaty. I love Stella’s work and always dreamed of meeting her. Now is my chance to win this awesome prize. Not to only meet her but to learn how to work. I ‘ve been wanting to become a photographer ever since I can remember! Finally in January this year I came to the point of taking my savings money to buy a camera and some other equipment. My dream is to be a wedding photographer and like I suppose you know the difficult part about wedding photography is getting started. I would absolutely LOVE to attend the workshop and get the necessary skills to make my dream come true! Anyone can take a picture but few can capture a moment and that is what I see when I look at Stella’s photographs. My comment is not to tell her how good she is, but to let her know how much I want to improve my art. ART! 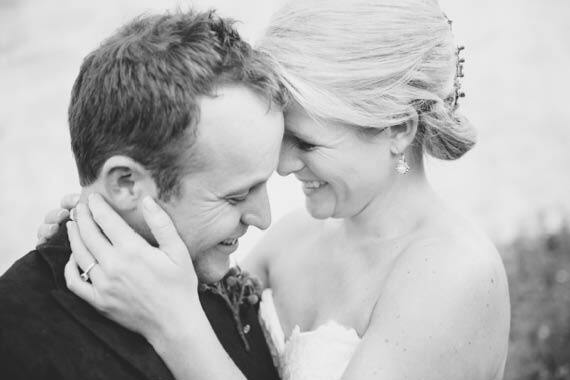 As a newbie in the business, Stella Uys inspires me…the way in which her work embodies romance, beauty and just the way people love each other… I would love your guidance in the artistic & business aspects of being an entrepreneur and growing as a photographer. oh my goodness what an awesome competition! I would REALLY benefit from someone as talented as Stella Uys! I will be wishing upon a start and finding 4 leaf clovers in anticipation of hearing who gets this great chance to learn with someone as amazing as Stella. I have always tried to grow my knowledge and experience with my photography, and I would love to learn some more. Things have been tough, and I have just lost my job. I kick myself now when think back…I should have made my passion my job when I had the chance. I hope you chose me, I will grab this opportunity with both hands and hold on tightly. Running a business is hard work! Every one always pushes you to chase your dreams, achieve your goals and pursue that rainbow, but they never warn you about how hard it really is! Being successful is more than just taking great photos, being successful is about managing your daily tasks, having the correct equipment and being in the right pricing market (which everyone doubts about themselves!). I’d love to walk away with priceless knowledge on how Stella manages to run a successful career as well as toggle her every day activities whilst owning her own company. I am in it for more than pretty photos! I want to invest the proper way in my company and reduce its flaws! What an amazing artist you are! I want to be all I can be and I know this workshop will assist me in getting there! :) On a journey to find the best me! The way we read history books so that we might learn from those before us, the same way that listening to the stories of those more experienced than us is vital in driving this industry and our own personal careers forward. Learn from the mistakes of others, benefit from their lessons learned. This experience is so rich in wisdom and insight, allowing us to peek into the mind of the successful Stella that I would be so honoured and privelaged to be a part of it! Stella’s ability to capture the raw and real emotion is something any photographer aims to achieve and I would love the opportunity to learn from her. Also not only does she have a great artistic gift I’ve followed her from a business point of view and believe she has great knowledge which I know I will benefit from to grow my business and help me to keep pursuing my journey. A wedding is a commitment of everlasting love, a day full of new promises and hope. Stella has the amazing ability to capture these moments. It is not just a photo that is captured but that the feeling on the day, and it is an Art to capture not just a photo but the feeling. It would be more than an honour to be able to attend the course with such an inspirational artist to guide you in creating the true fairytale everlasting moments she creates. This would be a fairytale for me. I’m from Cape Town, love your techniques and ability to capture the moment. I love detail and see it in your work. I’m sure the workshop will enable me to do so much better! And give every couple what they deserve on their wedding day! It would be a massive inspiration to see how someone with a very different style to mine works, especially with handling the flow of the day , dealing with difficult situations and evoking emotions which is sometimes the most difficult part of the day. Performing with the same quality work under pressure is what sets the top of the industry apart from the rest. Stella has mastered style, technique and the art of running a business. All three are equally important to me. You can’t have one without the other. Learning from someone who’s work inspires me would be an amazing opportunity! Stella has really amazing photography, and Id love to learn from her and be inspired by her ideas. It is always easy to buy a camera and call yourself a photographer, but you only earn that title with talent, hard work and dedication! That is exactly how I see Stella Uys. She didn’t become one of the country’s best photographers because of luck, but because of all her hard work and effort. I would like to take part in this course to learn from the best, and to improve my own photographic skills, knowing that it will only be with hard work! I know there are thousands of participants, so I hope and pray and keep my fingers crossed to win this seat! I would LOVE to learn from Stella! I am a big fan of her work & have been following her journey for quite some time now! I am a creative myself and I don’t think one ever stops learning! Thanks for beautiful work Stella ! Your work speaks for it self beautiful & Classic. I would love to attend one of these workshops, it would be a great investment to me my work & business. This would me so much to me as photography is my passion and the more I can learn and experience I can get would be a true blessing. Its simple… I want to learn learn learn so that I can also be one of THE BEST !! And then one day, be able to bless someone else with a free workshop ! STELLA IS DEFNATIEF VIR MY N INSPIRASIE EN EK SAL DIT SAL VIR MY AWESOME WEES OM N WORKSHOP BY TE WOON!!!! EK WOU AL JARE TERUG N WORKSHOP BYGWOON HET!!! SAL VIR MY DEFNATIEF BAIE BETEKEN!!!!! Oh my soul why would I love to win? Stella your definitely one of south Africa’s best photographers. When you start your journey as a photographer you are so lost and you have so much to learn that you need to start with courses, assisting with shoots etc etc but then when you have got your style and you work really hard to start a name for yourself you start to be inspired by people like Stella. You sit late at night while everyone is fast asleep and try work out how your lightening can improve, how to obtain that special effect, and how to perfect your shoots. To run your passion as a business. To improve your workflow, to come in contact with other photographers. I think it would be such an honour to see you in action. I would like to go to the next level in my photography and believe with all my heart that you would inspire and teach me sooooo much! I love how strongly the emotions comes through in her photography and would love to learn from her – on a business and photographic level. Learning from one of the best in the country would be Amazing. The lighting and beauty of her photography is inspiring and it would be amazing to be able to win a spot in order to learn and improve on my own photography! If I could afford it, I would definitely go! Unfortunately I have to pay for my own photography studies which I am currently busy with. There is a lot you can learn from Stella, and the person who wins this, will not only be able to learn technical aspects but will be able to learn from Stella Uys herself.. how lucky! After doing a wedding a month ago I realised I still need plenty of learning before I can compete with many of the other photographers on the market. Looking at doing photography as a full time career. I would love to attend your workshop! Always wanting to learn more especially from photographers that are amazing at their work. Im simply in dire need for Photography schooling. Fotos is my passie en ek wil graag my droom n realiteit laat word en die pragtige oomblikke van mense wat later slegs memories is op fotos vasvang, want jy kan altyd terug blaai na fotos maar nooit na tyd nie. I would like to attend the workshop so that I too can showcase the most beautiful side of life. Aaahhh this is on my bucket list. Would love to attend. Looks like tons of fun and packed with learning. I believe in turning moments into memories that’s my passion making people remember the bad times and good times and by winning I know I can get better. I consider Stella as one of the best in the market! And who better to learn from!! One of my biggest dreams is to become an amazing photographer… I just wish I had the guts to pursue it!! I honestly believe that this workshop will push me towards my dream and make it a reality.. I am so inspired by Stella’s Work. Your work is top of the rage, one of the best Wedding Photographers i have seen. I always say that a photograph is the only pause button you have in life and it captures the best moments that will last forever. I am still in the beginning phase of photography and that is why the workshop will help me so much, i will be able to learn so many things from you. And even if you are a photographer for a year or 20 years. There will always be new things you can learn from someone like you! I want to go further in photography and i want to live out my dream of one day having my own venue, as i am already a qualified chef, but being one of the best photographer’s that people would feel the same way about, like i feel about you and looking at your work!!! You are a inspiration to so many people and make me want to aim higher than the sky to go out of my way to live out my dreams!!! Thank you for the opportunity to be able to stand a chance to go to one of your workshops!!! Would meen more than the world to me!!! I am truly inspired by Stella’s work. Your photography is og thr highest quality and the creativity is astounding. I would love to attend your work shop as I am passionate about photography and wish to learn so much. I would be able to support my family and take care of my loved ones. It would be an amazing opportunity to earn a living through my passion for photography. It would be an honour to attend and learn from Stella. Thank you so much for this opportunity. Wow what a great competition and opportunity !!! I would love to attend this workshop and get awesome advise and knowledge from Stella…. I would love to create and capture that magical moment in someone’s wedding, to capture the essence in the moment and the tell the bride and groom’s story through my lense! To capture the romance the fun the silliness the happiest moments the love between two wonderful people that have been created for one another. I would love to learn that softness that Stella has in her photos! I know attending this workshop by one if SA’s leading photographers would be a dream come true for any professional photographer, amateur photographer or just anyone that would be inspired by Stella. I would love to learn all the techniques thats needed to inspire other people with my photography like Stella does… Wow I would love it if people can read a true love story through looking at my pictures, and I know for a fact that I will be able to create this feeling for my clients after this amazing workshop with Stella! STELLA UYS = WOW! Om jou fotos te beskryf in jounaam… S: Super stylvol, T: Troukoors Tegniek, E: Eenmaal Elegant, L: Liefdevol L: Lekkerte A: Asemrowende Avontuur! Wat ‘n super geleentheid om so ‘n workshop te kan bywoon! Hoekom? Beslis een van die bestes om by te leer! Wat ‘n voorreg sal dit nie wees om al die kennis van jou styl en kamera te kan leer by jou! Jou werk is finominaal! I need this so much! At a point where I’m feeling so uninspired and would love to take my work to the next level. I need amazing, and this is it!! Stella has developed a fresh timeless method of capturing weddings which satisfies the current marked trends but will continue to satisfy and comply with changes in the market. She uses natural light to create soft, emotional but clear and strong portraits. With each photo capable of standing on its own and telling it’s own story. An inspiration. Well like most woman, I am always the brides made never the bride so i kinda changed my own fate by changing possition. From brides made to wedding photographer. I would love to learn more to make my photos more special. You are a big inspiration when it comes to keeping memories. I love your work Stella. I decided to take the leap of faith and go into full time photography two months ago. I love it bit am struggling to break into the wedding market. There are so many expenses in this industry I don’t have the current means to attend this workshop on my own. This prize would give me the confidence I need to keep on pursuing this career. The styled shoot would also be fantastic for my portfolio as very few will give you a shot without a portfolio, but you need the break to build a portfolio. This catch 22 situation can be highly frustrating and discouraging. Good luck to all the other photographers. as I read about this wonderful opportunity !! such an amazing artist and be part of the magic that she creates ! We only live once, but if you strive to learn and love and truly live, once is enough ♡ good luck to everyone who entered ! An open hand that gives, is a hand that will also receive…. This is the secret to success in any field. This is why Stella simply stands out amungst the rest – she gives so much of herself – in everything she stands for, represents and does. One would think that she would keep her secrets to such enormous success a secret. Yet, she can not wait to share what she has learnt with so many of us. This in it self inspires me! I have been living in the DRC taking photos of beautiful landscape and sad photos of poverty and pain. I have come home to take photos of love and happiness. I can’t think of a better thing to photograph than weddings. Because despite all the drama behind a wedding. In the end all that matters is the look in the couples eyes and I want to learn to capture that. There is no better way to grow than through learning. If you have the right person guiding you and showing you the ropes it helps you being a better you. Your dearness and personality shines through in your work. Dream big! Fly high! I have always been inspired by Stella and even chose her to be my wedding photographer a few years ago. She motivates me to shoot with my heart and after leaving wedding photography for a few years, I have decided to start shooting them again. This will be a BRILLIANT start to covering weddings again! Stella is a big inspiration. It would be an honour to learn from her. Photography is the ability to capture a moment that is everlasting memory. That descripes Stella’s style to me. A wedding day go past in a blink of a eye. So many moments is being missed by the couple. A great photographer captures the essence of the day and by looking at the photos you can relive that day again. I have photograph a few wedding, but realise that a few things is missing when I look at it afterwards. I don’t know if I get to caught up in the emotions of the day. Or if the moment is to big for me. I would really want to learn from Stella on how to capture a wedding that will leave the couple in awe afterwards. I’ve always loved Stella’s passionate work and I think the reason I am so drawn to it, is because I see a little of myself in her work. To me she has always been an inspiration, from being a story teller to the posing and capturing the whole feel of a wedding day. I am very sentimental, very emotional so when I do weddings, I want to capture the beauty as well as the raw emotion. Stella has over time just perfected that, and I feel like this would be such a great learning opportunity for me in the wedding genre. I know how it is to start your career without anything handed to you on a platter. I know how hard the wedding industry is to crack and I would love to get cracking.. and learn from Stella. I met Stella a few years ago at a Christine Meintjes workshop. I absolutely love her and her work and it would be a honor to learn from her. She’s a real inspiration. “To capture feelings, emotions, moments in life is one of the greatest gifts you can give to someone” Stella jou werk raak mens se innerlike aan en laat jou week en weerloos staan. Dis ‘n droom vir my om dit te kan bemeester, en dis slegs moontlik om dit by ‘n meester soos jy te kan leer. Dit sal ‘n vir my ‘n eer wees om by jou te kan leer. Hoe amazing sal DIT nou nie wees nie???? Photography is poetry and everyone must find their own technique to tell the story that plays off on the other side of the lens, Stella’s photos tell a story and therefor I would love to learn from the best and discover my own story-telling technique in order to capture those once in a lifetime special moments of others. 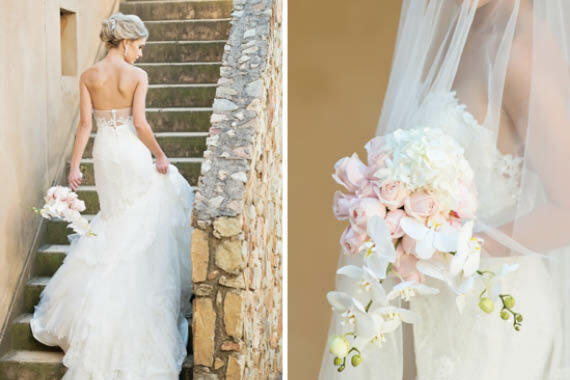 I would walk from Cape Town to experience this amazing opportunity, to learn from a guru in wedding photography. I want to one day be regarded as a guru in my field and inspire young photographers like Stella does and be regularly featured by the likes of Wedding Friends. I need this opportunity to grow and develop my skill. I just love photos and all the different feelings you get when you look at a picture and of course the different ways you can make a simple thing like a tree look stunning. I would LOVE to attend this amazing event. I am just entering into the wedding market and if I could in the end take amazing photos like you do, that would be AMAZING!!! Please pick me. I’ve been a fan of Stella’s work for years. I admire the way she captures emotion and tell stories with her camera. To be able to attend her workshop would be a dream come true and an enormous blessing. It would be a great honor to work with Stella and learn from the best. She is such an amazing photographer. I’ve been wanting to attend a workshop like this since I’ve started, but I just never had the finances and now my husband lost his job and I’m the only breadwinner at this stage, I could really do with this workshop, it will teach me so much. This would be a dream come true for me. 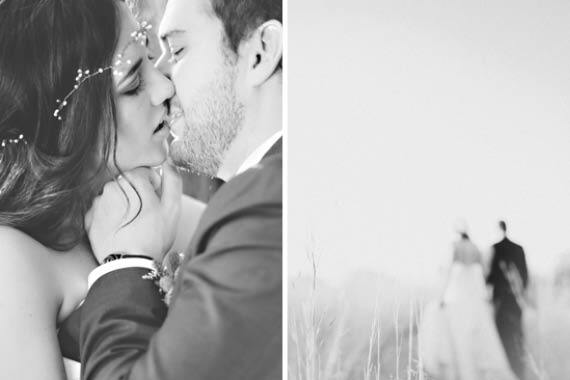 As a up and coming wedding photographer your work is stunning and inspirational Stella. Really take a strong person to teach in this trade as you give away your secrets at the end of the day. I take my hat off to you. Very inspired and will continue to strive to be better and follow your work. I’m hungry for info ( Is that weird? ) I am simply in dire need of your workshop. Keep on keeping on Stella! What an absolute honour and treat it would be to able to take part in this workshop. I am a young aspiring photographer, and with such a deep rooted passion and love for it, all I want is to be the best I can be and learn from the very best! Would truly appreciate and treasure the experience and all the knowledge that would come from this workshop! Well, who would not want to meet her rolemodel? 2) meet Johnny Depp, and maybe steal a kiss. How cool would it not be for Stella to get that on camera :D.
I would love to win this because, I’ve never had a passion this big like i have for photography. I would walk 500 miles to attend my hero’s workshop. Stella is one of the Names in photography to me. I think that everyone aspires to do such amazing work like her and to be able to attend one of her workshops would be amazing. I’m a true fan of Stella and her work and would basically do anything to join her for a session where she educate people to bring her magic to life. If I could combine her miracles with my work I think I’d certainly be complete. Stella, wanneer ek na jou meesterstukke kyk voel ek die onbeskryflike liefde tussen 2 siele – soos wat ek en my man het. Hy is al 18 maande in n kanker stryd, maar met die Heer se genade slaap ek nog elke aand in sy arms. Ek weet egter die realiteit is dat daar n tyd gaan kom wat ek n beroep sal moet betree en droom om die selfde liefde soos ons sin in n foto te kan vas vang. Net jy kan my leer, want ek kan kan sien jy verstaan dit. It would be such an honour and experience attending Stella’s workshop. I still have so much to learn to take my business where I want it to be. This is my first year in business as a full time wedding photographer in Durban and I’d love the opportunity to learn more skills to running my dream business. Ive been a photographer onboard ships, and now im based in Polokwane with a photographic studio. Im unknown and lately im reconsidering a different career parth, simply because I lack confidence in regards to weddings and the sreps required with a portfolio that will get me that far, so honestly, gaining the knowledge and knowhow from an inspirational expert in the field will be inspiring, and a door to a new avenue that will generate revenue for me, knowing that i am capable. I have a sense of independence which I would like to uphold. Hard to find something that hasn’t already been said, I would love the opportunity to learn from someone so talented and experienced. I need to improve my photography skill. Never stop learning and of I can, why not from a Professional. Someone that wants to share their knowledge with us. Wedding photography seems daunting and something I shy away from at the moment… but it would be fantastic to learn from one of the best in the industry… It could very well help me to start with weddings! I think her photos are amazing and I would like to learn from the best..! For new to the business, aspiring photographers, this would be an amazing opportunity to learn and grow our photography skills from a industry leader. Every couple deserves to have their beautiful day captured perfectly and I would love to give that to them. I believe Stella does this on an unmatchable level and I would be so blessed to learn from someone who’s passion, love and creativity shines through their work daily. I love learning and strive to improve myself and my skills daily and I believe this workshop could help me improve more than I could imaginEvery couple deserves to have their beautiful day captured perfectly and I would love to give that to them. I believe Stella does this on an unmatchable level and I would be so blessed to learn from someone who’s passion, love and creativity shines through their work daily. I love learning and strive to improve myself and my skills daily and I believe this workshop could help me improve more than I could imagine.